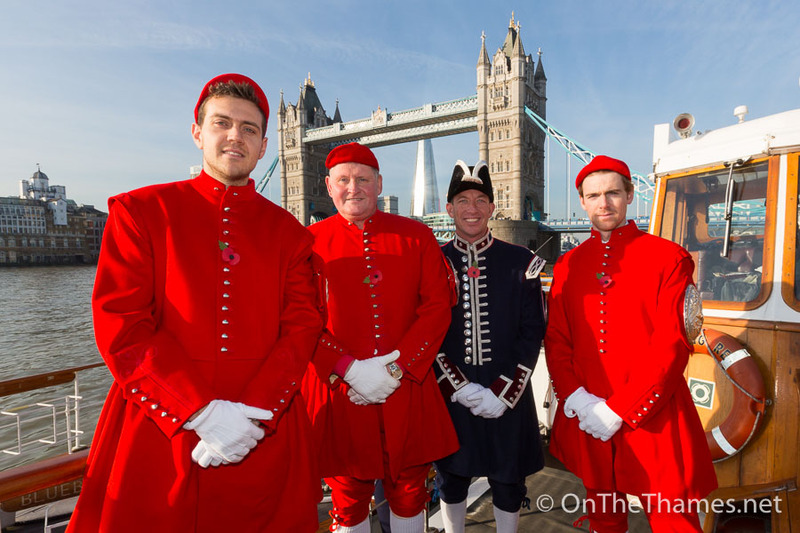 TOWER Bridge lifted in salute as a poppy wreath was carried up the River Thames to mark Armistice Day last week. 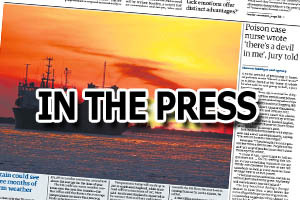 The wreath was borne by the motor vessel Havengore, famous for also carrying the coffin of Churchill on the day of his funeral back in 1965. 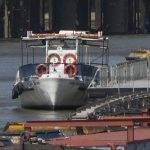 Followed by a small flotilla of vessels, the former PLA hydrographic survey boat left St Katharine's Pier and passed under Tower Bridge at 10.20 and made its way up river. Onlookers watched from bridges and the riverside as Thames waterman in distinctive coats stood at the bow of the vessel while two pipers played. 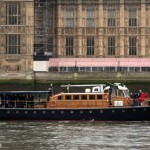 Upon reaching the waters outside the Houses of Parliament, a short service of remembrance was conducted on board by Rev. Can. 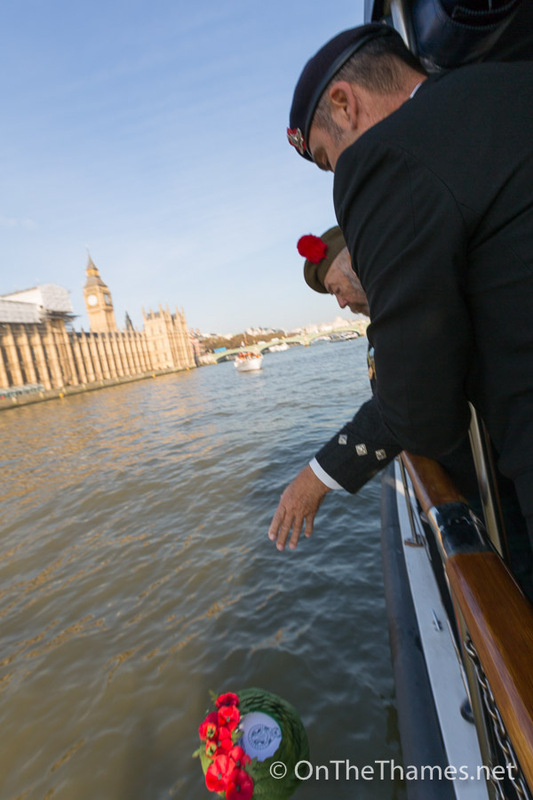 Roger Hall MBE before the wreath was released in to the Thames. 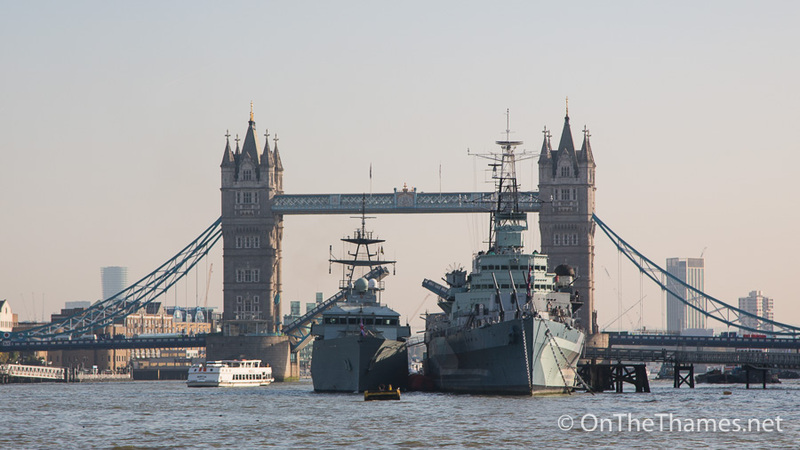 By the time Havengore returned back to St Katharine Docks, a new arrival was present in the Upper Pool as the River-class patrol ship HMS Severn had arrived under Tower Bridge at 11am. 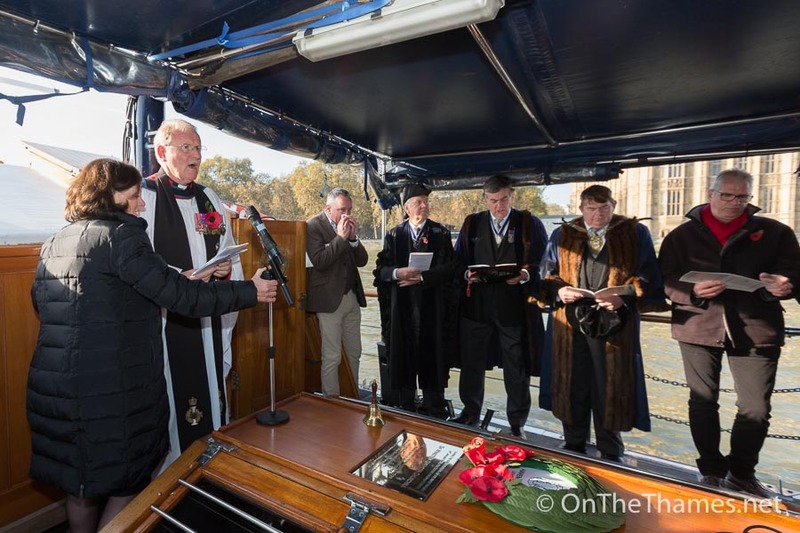 The Armistice Day act of remembrance was Havengore's final engagement of the year and today she departed the Thames, bound for winter maintenance at Ipswich. 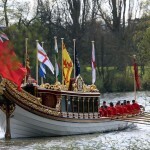 Thames watermen in the red coats given to winner's of the Doggett's Race and the current barge master. 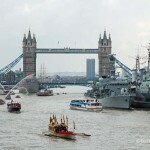 Tower Bridge lifts in salute. Spectators watch from Westminster Bridge. The religious service was conducted by Rev. Can. 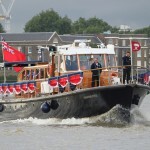 Roger Hall MBE. 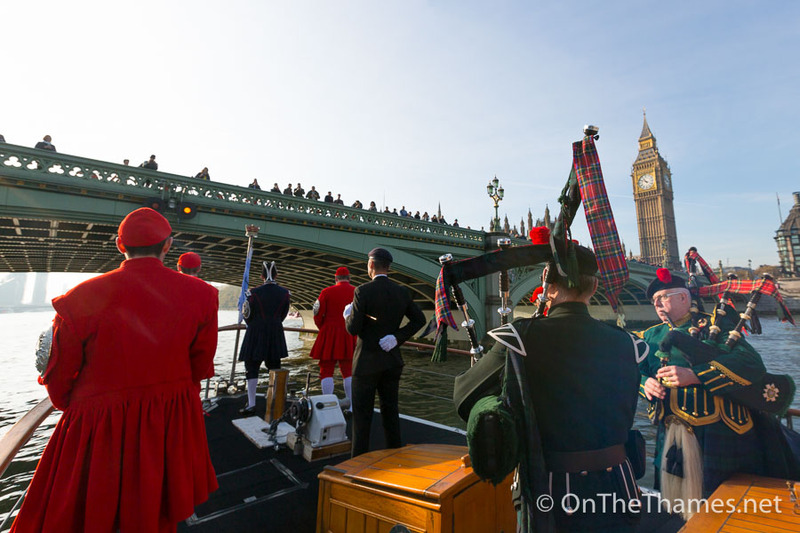 The wreath lay where Churchill's coffin once day. 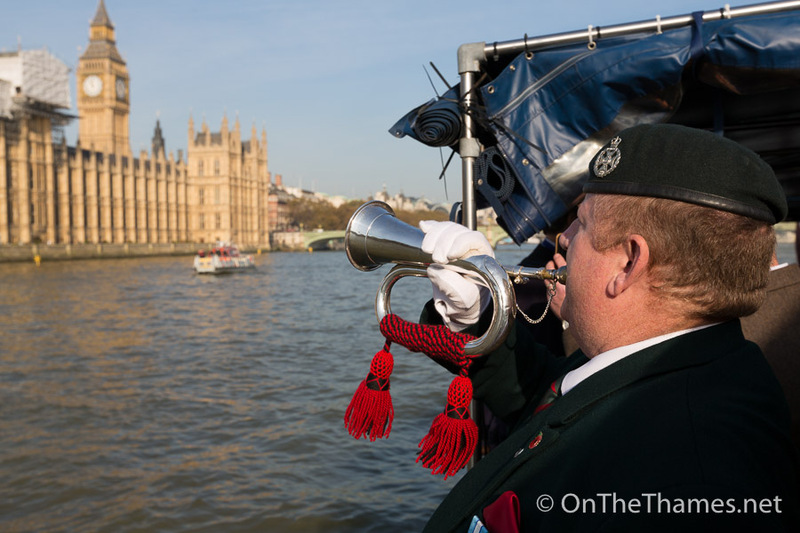 A bugler plays The Last Post. 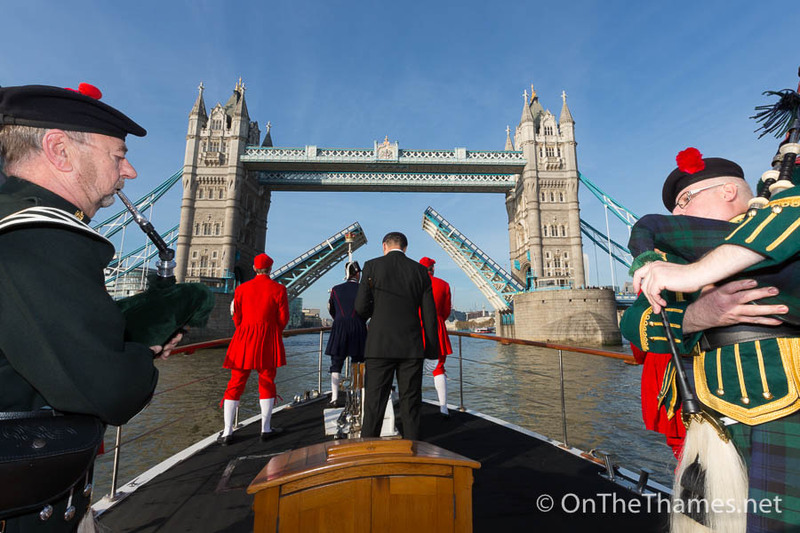 The biodegradable poppy wreath was released into the Thames. 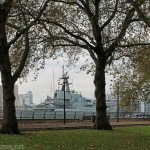 HMS Severn alongside HMS Belfast.